Cat Boating The Globe. 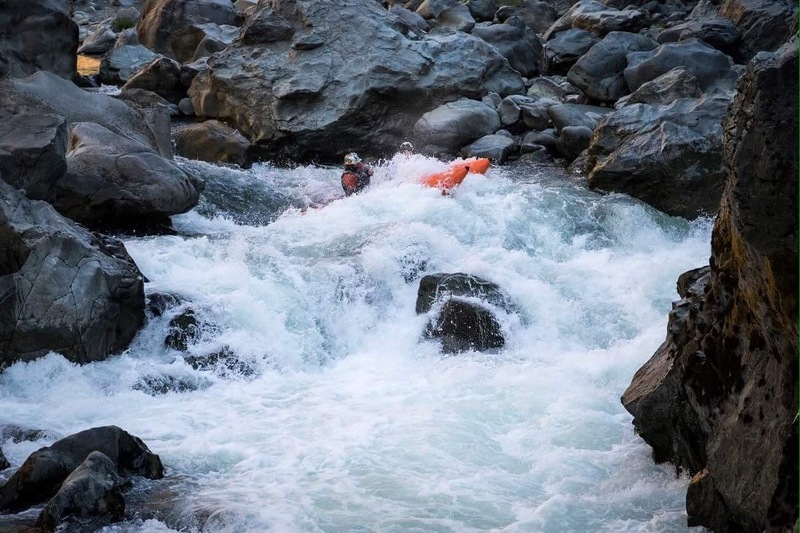 by Allie Hutto | DBP MAGAZINE ONLINE The World's Best Free Whitewater Publication. CAT BOATING THE GLOBE ~ The Cats Around the World Mission Gets Launched. by Allie Hutto. Hey there- We’re Cats Around the World! My name is Allie-Kat Hutto, a proud DBP Admin, and whitewater changed my life. I quickly fell into the sport after leaving my hometown of Tulsa, OK and fell in love with private boating catarafts because of their maneuverability, stability and gnar crush factor. 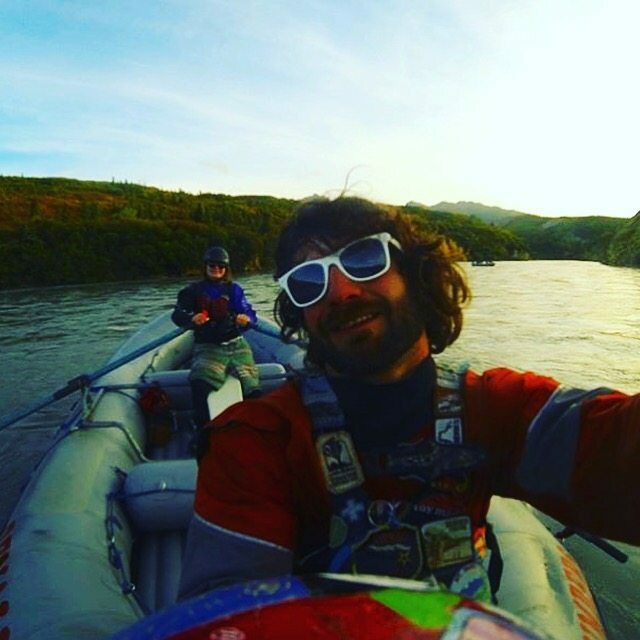 I made my way up to Alaska eventually where I met the love of my life Rocco Russo, newest member of DBP, who is a class 5 kayaker but gets out to push rubber with only me. At first, the dream was small. We were going to spend the winter in India commercially rafting only and learning about the culture. But then I grew to know Rocco more and realized that he had so many other talents and together we could actually pull off my dream of traveling around the world on a cataraft and documenting the experience along the way. 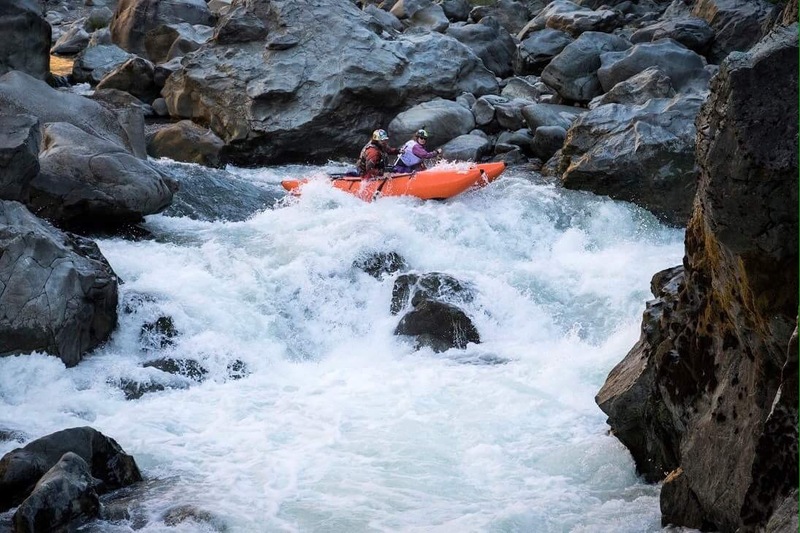 My goal was to seek out other boaters, female and male, and share their stories along the way and show the way whitewater has changed countless lives. In the end, I simply wanted to expose what a journey around the world on a Cataraft would take. R2 practice before Cats Around The World goes International! Together, we hand-crafted a dream where we would R2 together on a 48 pound Hyside Paddlecat around the world. 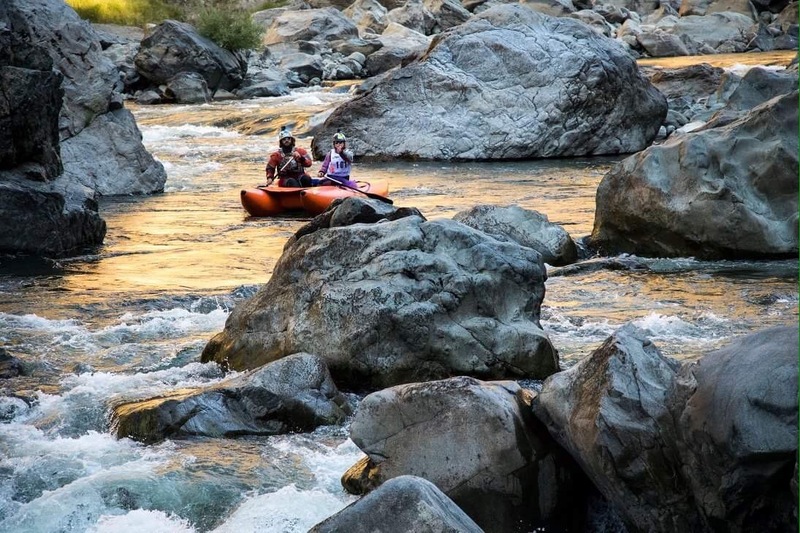 (EDITOR’S NOTE- R2 is a raft propelled by only two paddlers.) So we began picking our locations. We ditched the India idea, refunded the tickets, made a gofundme, bought a boat, began saving, started editing, and made new plans and goals. So here we are a little over a month later, starting the international journey with Australia. Our boat arrived this weekend so we took it to the Burn Fest and gave it a nice baptism. We got 1st in the raft division (haha! 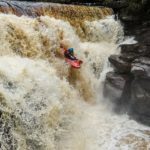 it wasn’t all that hard, everyone else was kayaking) then we headed over to the Pit 1 release and dropped my first waterfall, so exhilarating! So the journey has begun here in California and the rest is to follow soon. We will keep you updated as we go and document everything. See you in the next eddy downstream! Dirt Bag Paddlers for Life baby! 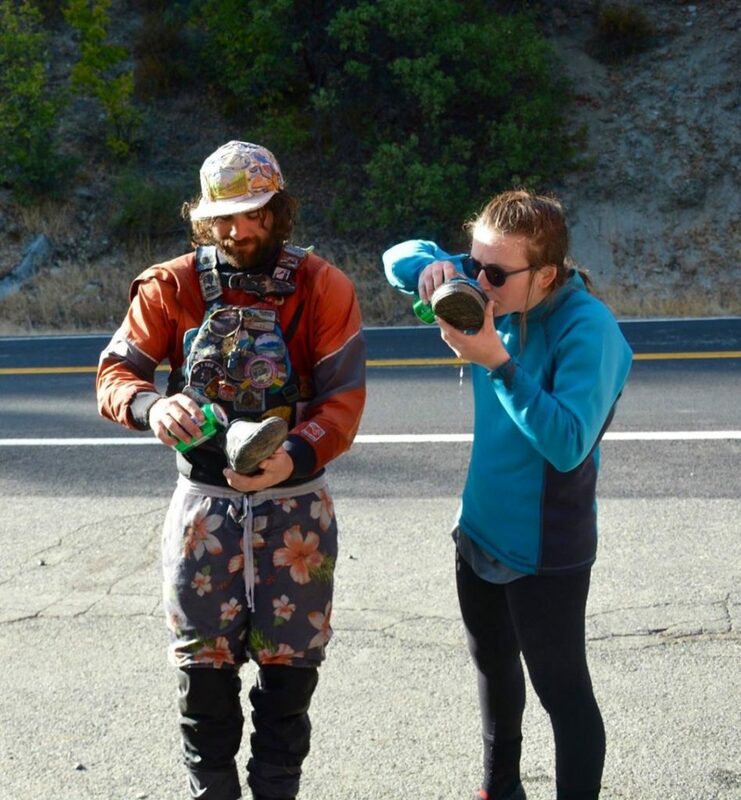 EDITOR’S DESK: Help Allie and Rocco make their dream a reality! 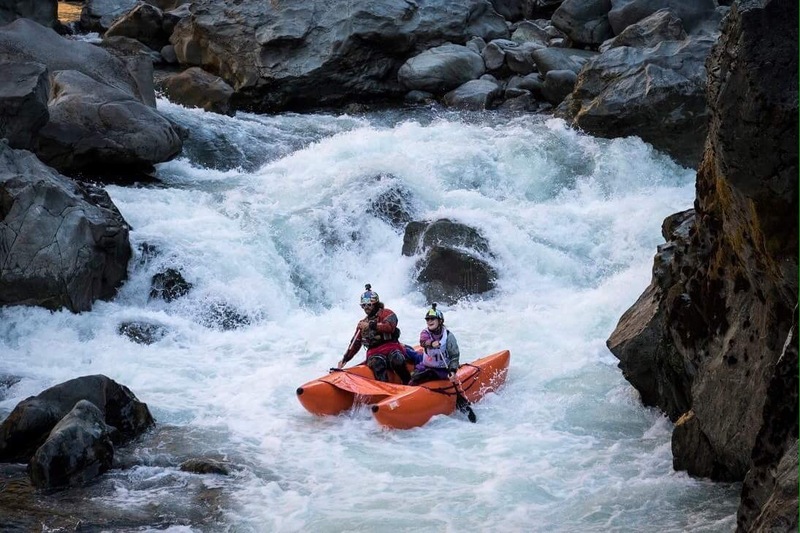 Pitch in a buck or two towards their bold adventure on GoFundMe today, and be a part of bringing whitewater boating to the far reaches of the globe!